'Flag, National, British'. Stores reference 4B/598. Manufactured by Edward Riley & Co. of Leeds. 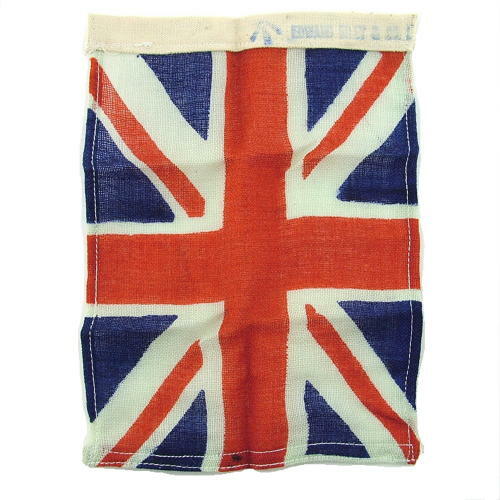 Small printed cotton flag, approximately 14.5 x 22cm. These were issued with the wartime lightweight flying overall, better known as the 'Beadon suit' as well as the tropical and arctic survival kits. Used for identification purposes. Marked with war department broad arrow & manufacturer's details. Excellent unissued condition. Extremely rare to find. Stock code E224418.